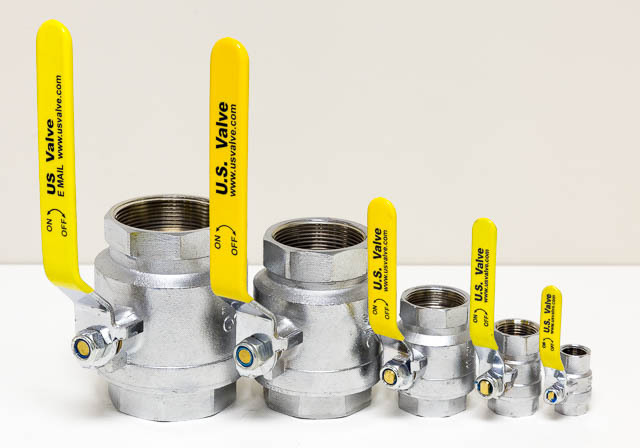 Our Full Port Ball Valves are available in sizes from 1/4" to 4" in 600 WOG Brass, 400 WOG Nickel Plated Brass and 1000 WOG 316 Stainless Steel. Our stainless valves have locking handles—the nickel plated and brass valves use a non-locking design. All valves are designed and tested to MSS-SP110. 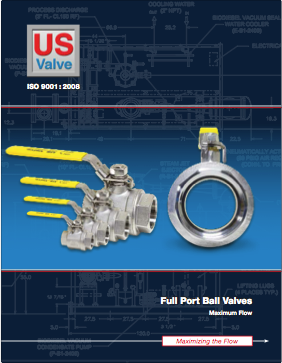 Our Full Port, Industrial Ball Valves provide more flow and lower pressure drops than conventional ball valves. The full ball port substantially increases the valve’s open area and flow coefficient (Cv), reducing turbulence. They are ideal for application in vacuum pumps, compressed air and gas systems as well as in water systems where low head loss is desirable. 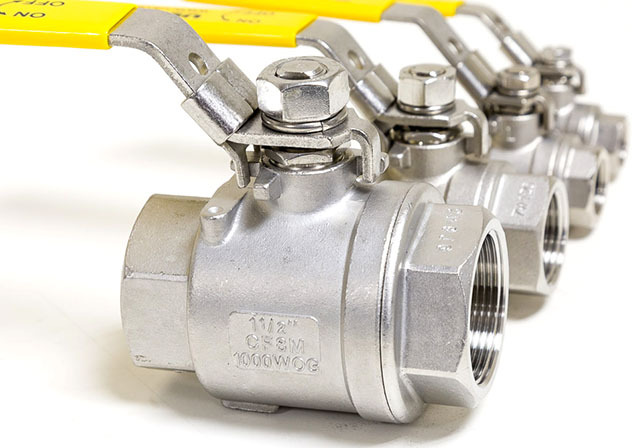 Ball Valves are typically in stock and can be shipped same day or next day after receipt of an order. 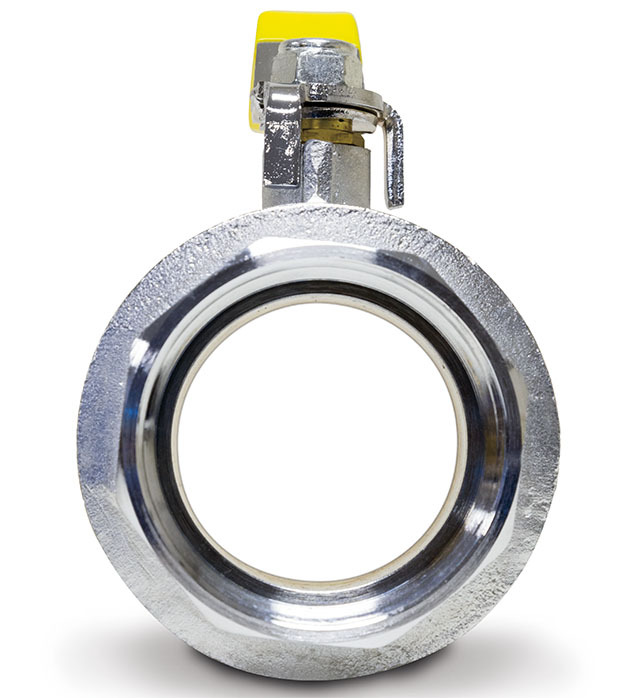 Our Full Port Ball Valves offer some impressive advantages.